Components: Giant Wave Slide, Ball Pool, Fun Battle Area, Happy Plates, Tube and Web Crawling, Adventure Bridge and etc. We Cheer Amusement is not only a children's playground brand, but also have a children's amusement equipment for many years experience in the production of the manufacturers, we have the production of each type of children's amusement equipment are required to pass our strict test, in ensuring the safety and reliability of its quality, will be sent to buyer after, so as to ensure that customer is safe to use. We by the production of each type of gas die, for we have the safety instructions issued by the logo, which makes it easy to you the future maintenance and maintenance. Along with the product together with the distribution, and our corresponding gas mold repair bag, in order to avoid in the future use process, because caused by careless use of gas die damage. If your model gas products in use process appeared damaged, you only need to use we provide repair materials for gas mold repair, and won't make your gas die appearance no effect. 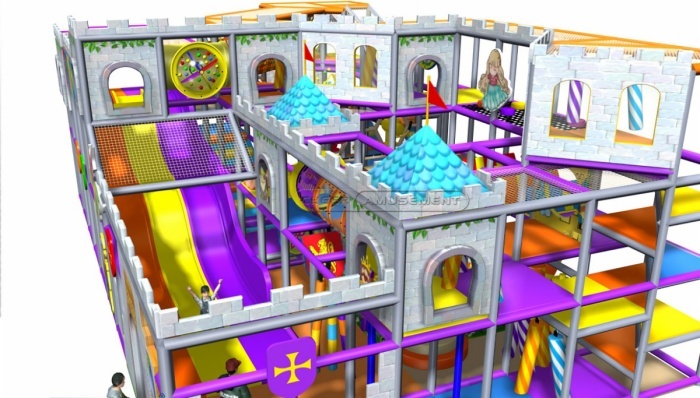 Components Giant Wave Slide, Ball Pool, Fun Battle Area, Happy Plates, Tube and Web Crawling, Adventure Bridge and etc. Technicians Our installation team can do the supervision and installation for your playground. The decorations can be very nice.. 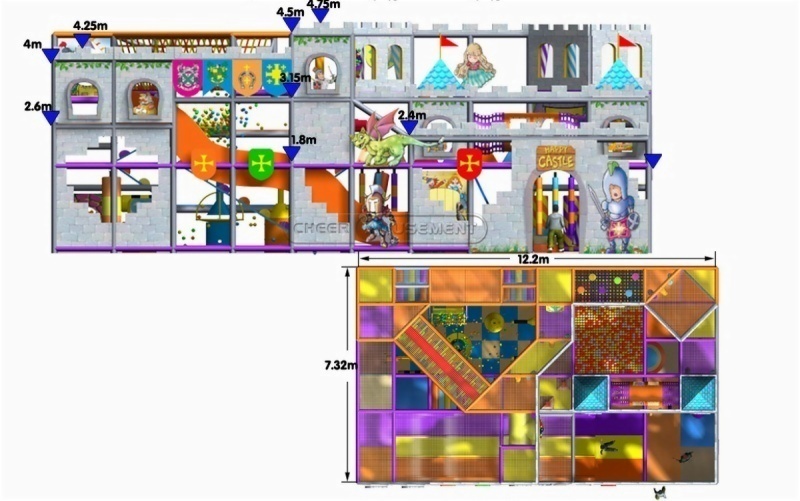 Remark We can custom design your playground upon the floor plan of your site. 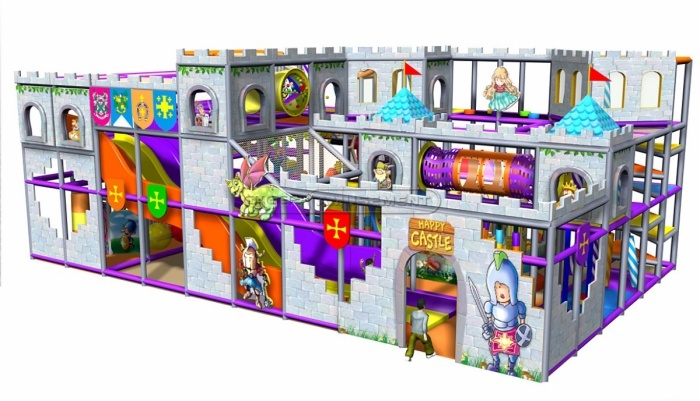 Happy Castle indoor soft playground is 89SQM, 4.75m height. 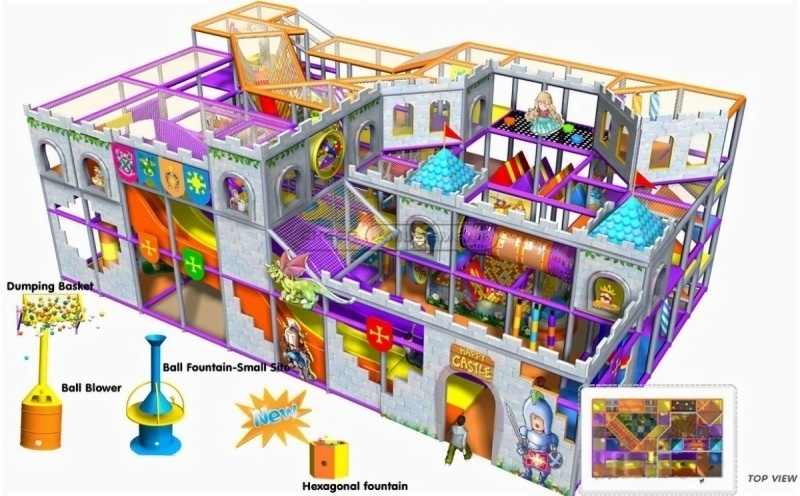 This indoor soft playground is redesigned, add some new equipment such as dumping basket, ball blower, hexagonal fountain etc. The contents of happy castle indoor soft playground are play equipment and printing. The printing is vividly and attractive. 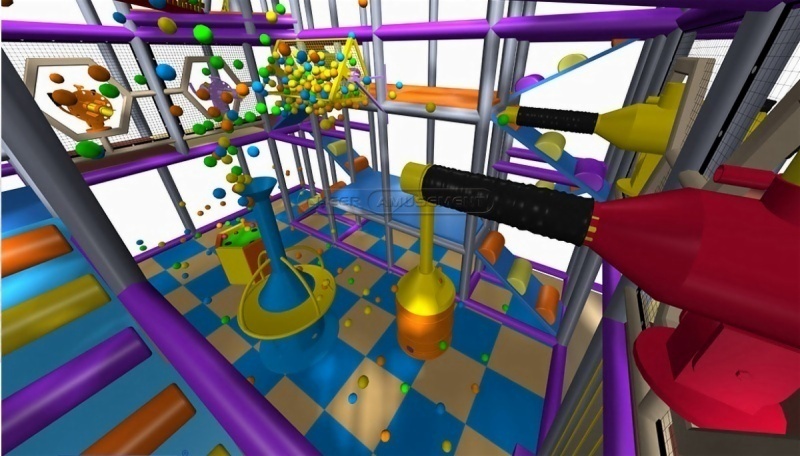 The play equipment is fun and fit for children. Slide, climbing and fun-battle and so on. This play area can satisfy 6-15 years old children climb, jump, crawl, run, throw activities requirements. And the whole area can hold 55-65 children with activities also does not appear crowded, children can invite partners play together, increase the kid's interaction and communication skills for children to provide more fun. Parents can supervise their kids when they are playing, as well as accompanying kids to play in it. The amusement area most major characteristic is space diversity and structural simplification, 89 square meters area with double-level space design can attract a lot of children, rich and colorful equipment especially Fun ball battle are more likely to bring many eyes. As for the dealer, the product is more potential customers, the market space is large. This product is for the baby, the products are smooth, material are superior, some of the materials are imported, all of the edge, angle, edges have been grinding processing, and outside with the software products to do the second packing, greatly enhance the safety of products, the main raw materials we use are the finest, Galvanized steel pipe, PVC Vinyl, foam, Safety Netting, EVA mats, Plastics and etc.. In the operation,please prevent kids taking some sharp tools. Please also pay attention to cleaning the playground and maintenance in a regulated time.